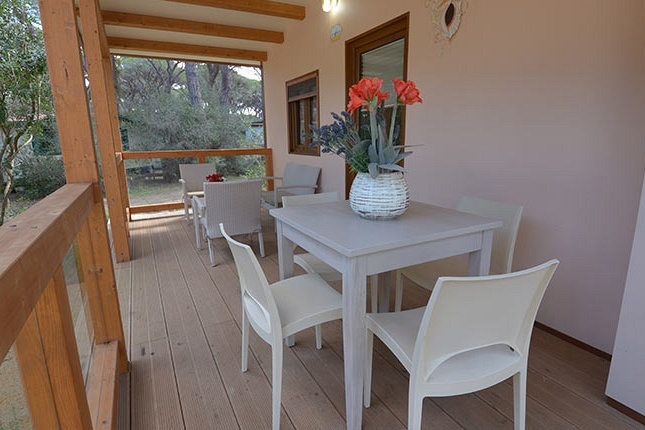 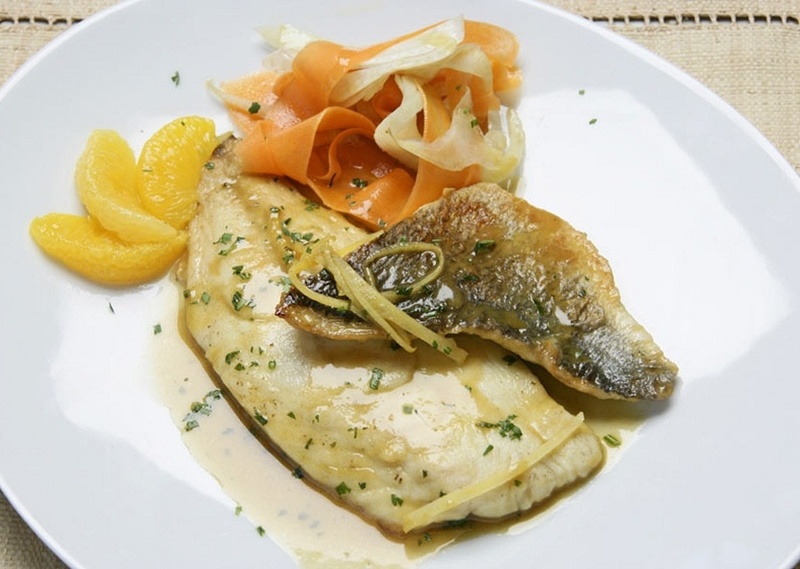 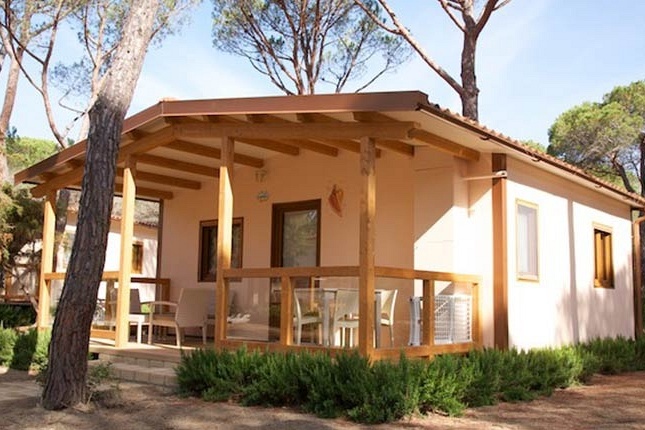 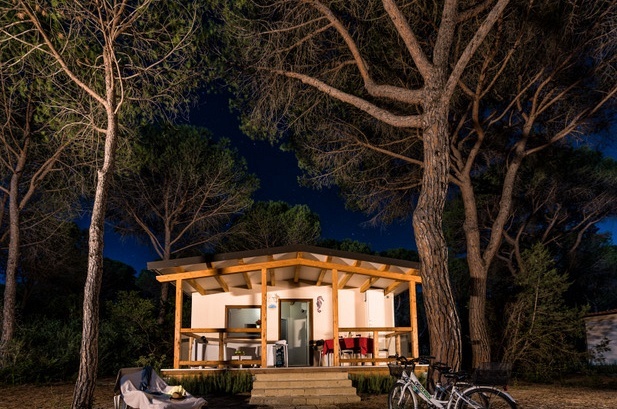 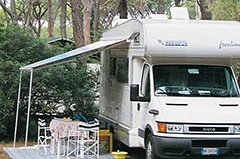 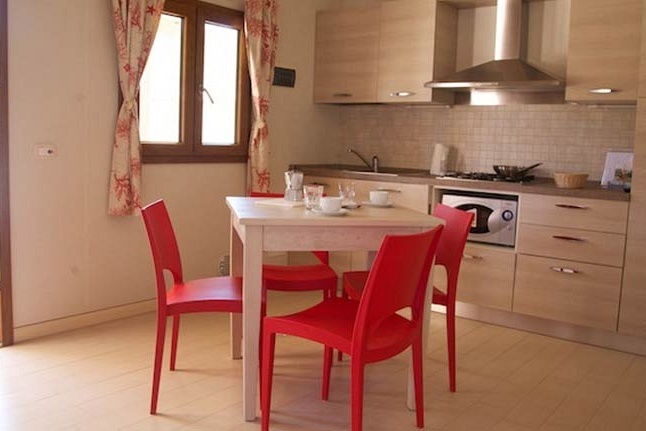 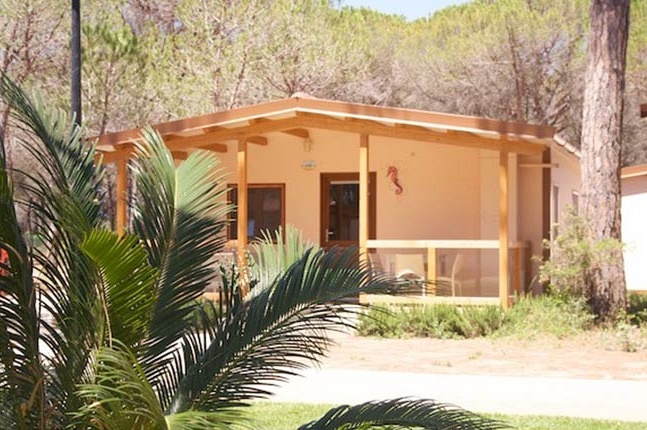 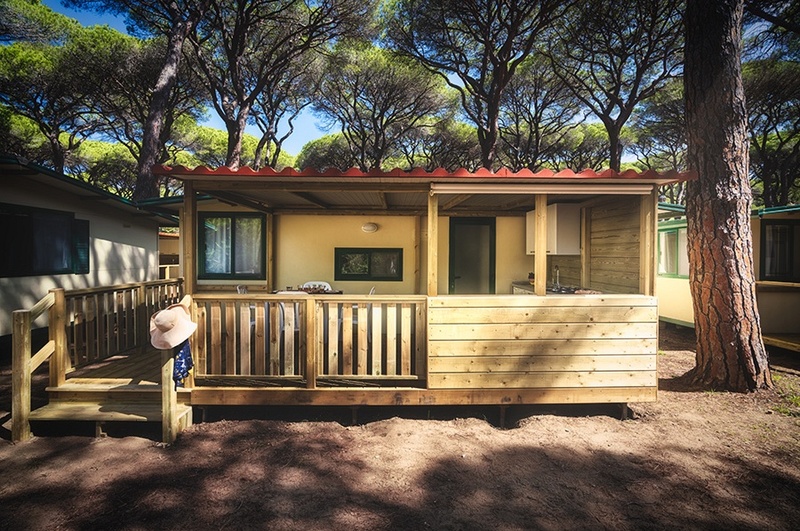 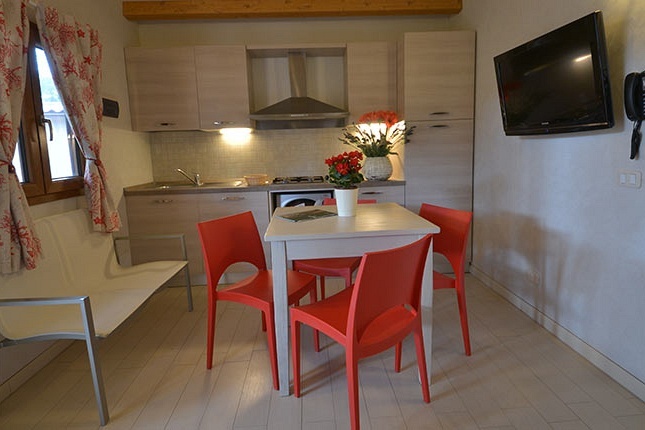 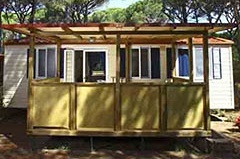 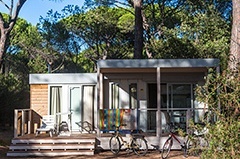 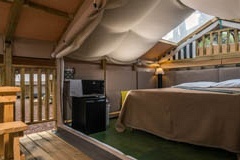 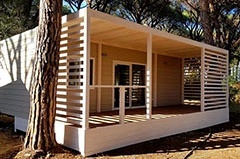 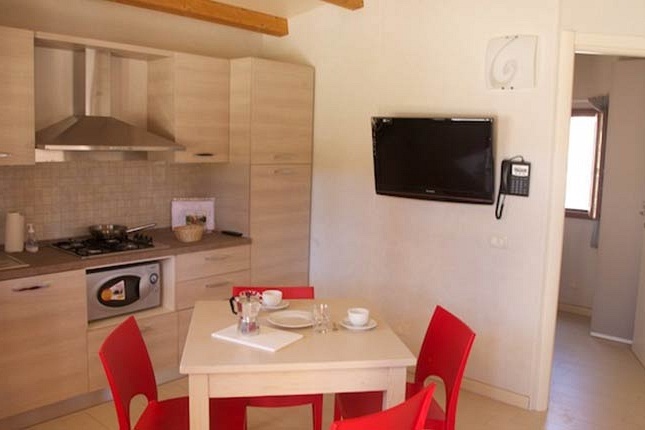 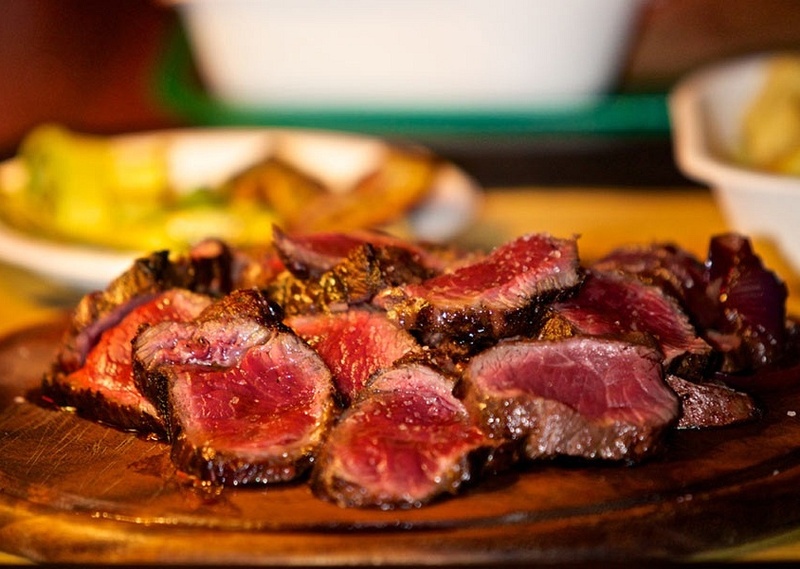 Bungalow Plus at Cieloverde Camping Village are plunged in the long established pinewood. 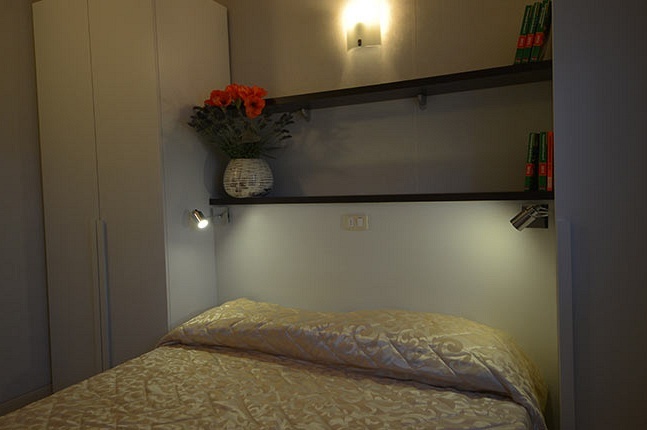 They are large (45sqm + veranda), elegant and comfortable and can sleep up to 4+1 guests They are composed by one double bedroom with SKY TV and safe deposit-box, one bedroom with 3 single beds, a living area with kitchenette equipped with fridge and freezer, cook top, dishwasher, microwave, kitchenware and cutlery, table, chairs and TV set. 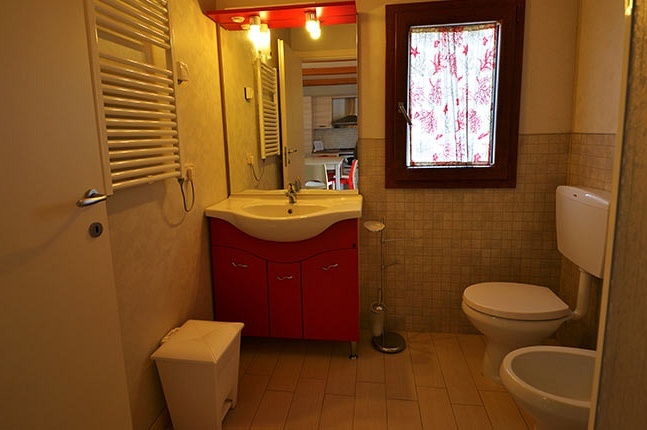 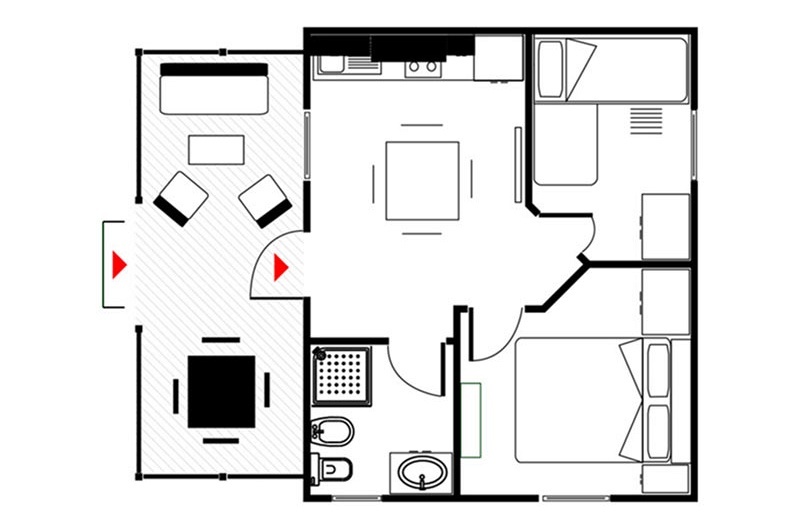 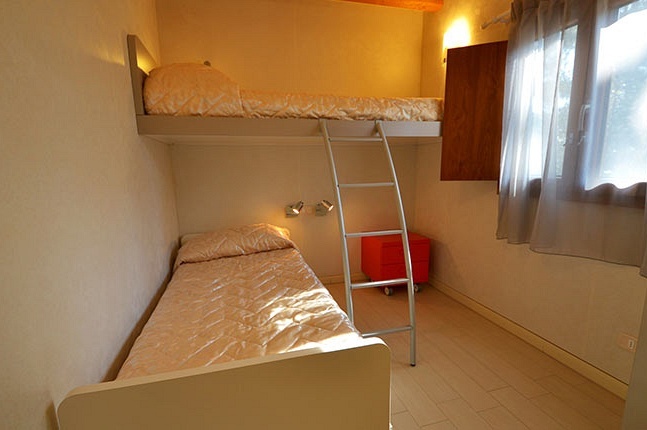 Furthermore a bathroom with shower, bidet, sink and WC. 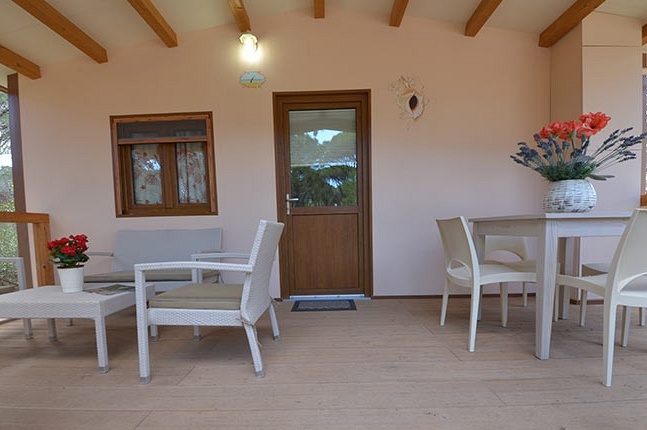 A veranda with relax area, table and chairs. 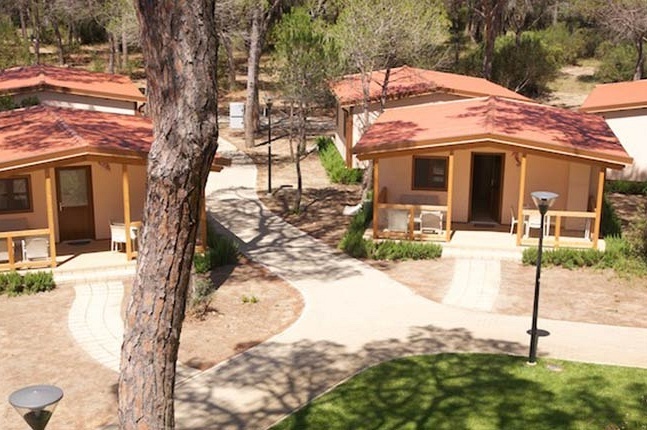 They are provided with air conditioner, clothesline,1 sun bed, mosquito nets, blankets, pillows, placemats, bed linen and bath linen with weekly change. Kitchen linen are not included. 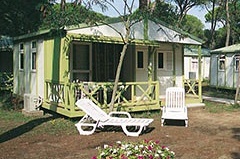 FOR GUESTS ACCOMODATED IN BUNGALOW PLUS THE SWIMMING POOL IS FREE. 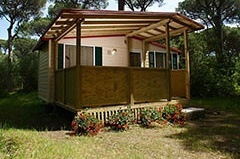 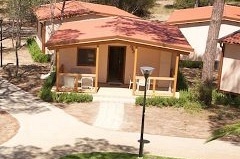 The rental of Bungalow Plus is from Saturday to Saturday.